Monday brings with it a harsh dose of reality back at work. 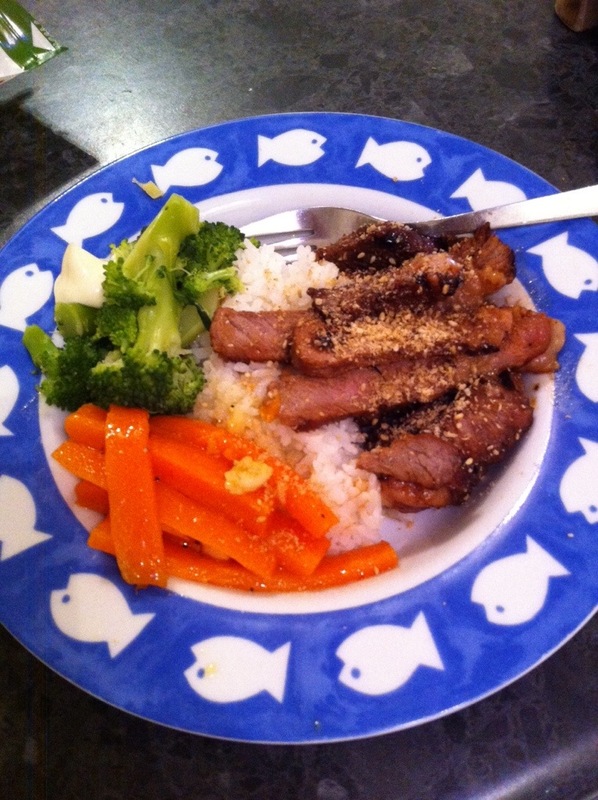 Dinner was Japanese style steak with veges on rice. It was rather tasty.